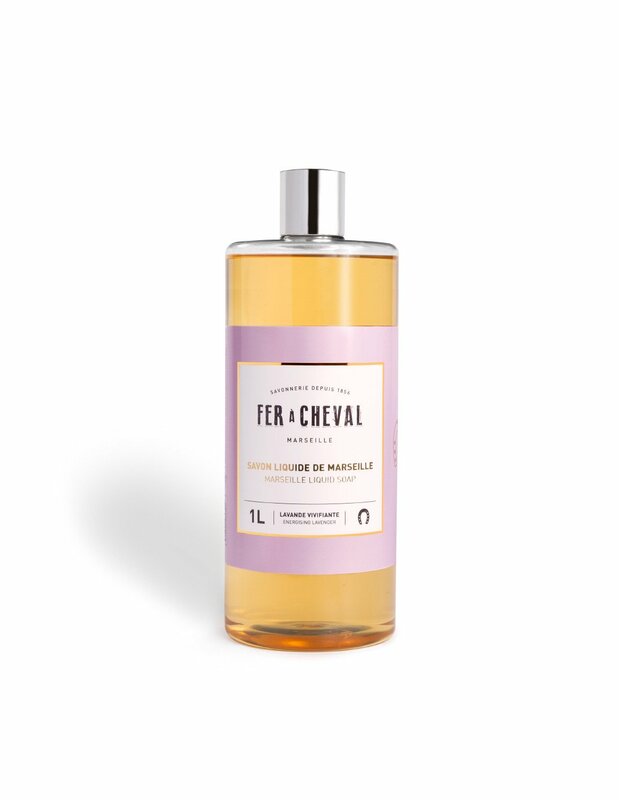 Naturally rich in glycerin, our Energising lavender Marseille liquid soap combine a cleansing base of coconut oil for its foaming properties, with argan oil. Their delicately scented creamy foam rinses off easily. Argan oil, extracted from the argan tree is naturally riched in essential fatty acids, vitamin E and antioxydants : a well-known active for its nourishing qualities will provide with suppleness, comfort and elasticity to the skin. Coconut oil is an edible oil extracted from the kernel or meat of mature coconuts harvested from the coconut palm. This oil is well-known in cosmetics for its moisturizing and nourishing properties. Our Energising levender soaps has been specially formulated to be extra gentle and minimise the risk of allergies. The formula has a minimum of 97% naturally derived ingredients, and does not contain any petrochemical surfactants, such as SLS, ALS, PEG, or petrochemical preservatives, such as EDTA, parabens, mineral oils, colourants or animal fat. A 100% FRENCH BEAUTY RANGE, CERTIFIED FRENCH ORIGIN GUARANTEED. 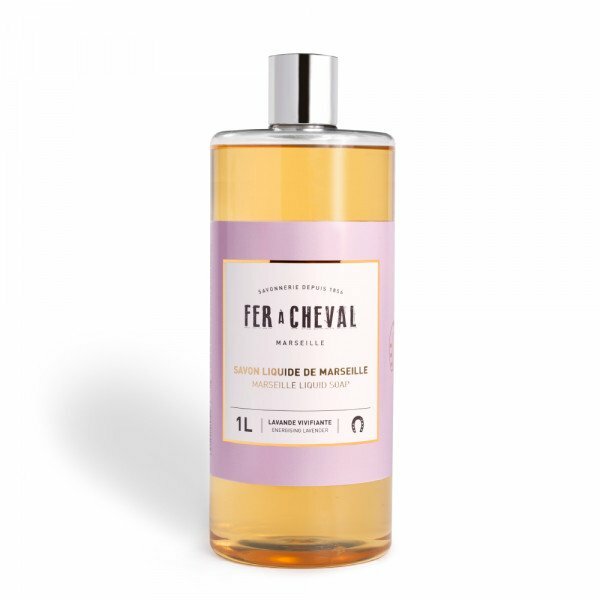 Our Marseille liquid soap has been specially formulated to suit all skin types, and may be used for everyday for hand washing and showering.